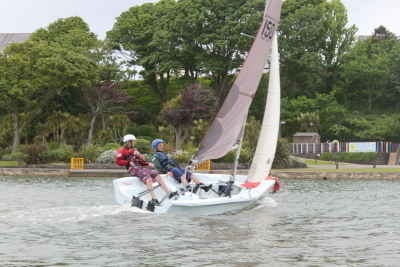 All beginner sailing sessions take place on the Mooragh Park in Ramsey. 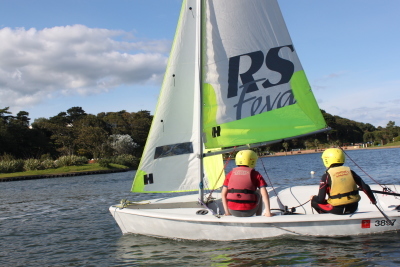 For groups staying on adventure programmes at the Venture Centre these sailing sessions offer a perfct introduction to the sport on sheltered water. During all sessions the group will have the opportunity to be involved with the rigging of the boats, learn basic sailing techniques and will sail their own boat with their friends. Taster sessions last from 1.5hours to 3hours in duration. The Venture Centre can also offer RYA certificated courses including; Youth Stage 1, 2, 3 and 4, and Level 1, Level 2, Level 3 and Seamanshipskills certificate. For more information on Dinghy Sailing lessons and courses running from Spring to Autumn, please click here.